Fun. That’s just how we roll. The annual celebration of fun, healthy ways to commute to school across our city is held every April. Bike & Roll to School Week welcomes anyone and everyone with wheels! It’s time to get out your bicycles, skateboards, wheelchairs, rollerskates and strollers. Any San Francisco school, from Pre-K to high school, is invited to participate in the fun. 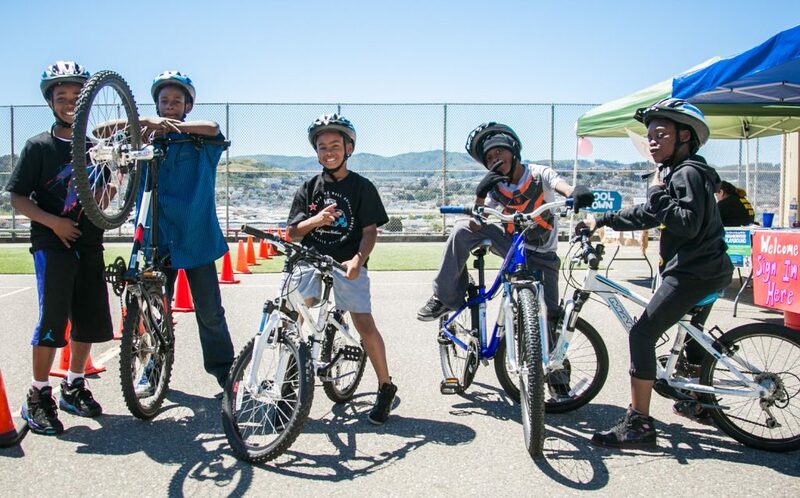 Participate in upcoming learn to ride, family biking events, or bike safety classes to help prepare your children and family for Bike & Roll to School Week. To view upcoming events, please click here. Always wear a helmet. It’s not only important to protect your child, it’s the law for riders 18 and under. Stay off the roads. Ride only in bike lanes or along marked bike routes. For children up to age 13, it’s OK to ride on the sidewalk.